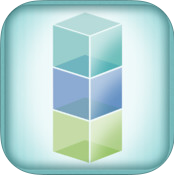 FluencyFinder the leading iOS app for assessing Reading levels and comprehension has been updated to version 2.5. The latest version has been redesigned for iOS 7 for a sleeker polished look. Exporting results is easier w/ a email share button, and educators can now search through Reading passages. FluencyFinder is an extremely easy app to use as all an educator has to do is print out a Reading passage (1st-8th Grade) and tap the timer to start assessing a student. As a student corrects or makes a mistake, the teacher then taps the (+) or (-) button to score the student. Once the passage is a read, the educator taps stop and instant real-time results are given unless they choose to go on to Comprehension questions. I highly recommend checking out FluencyFinder by clicking here!!! *FluencyFinder is an advertiser of Technology Tidbits.